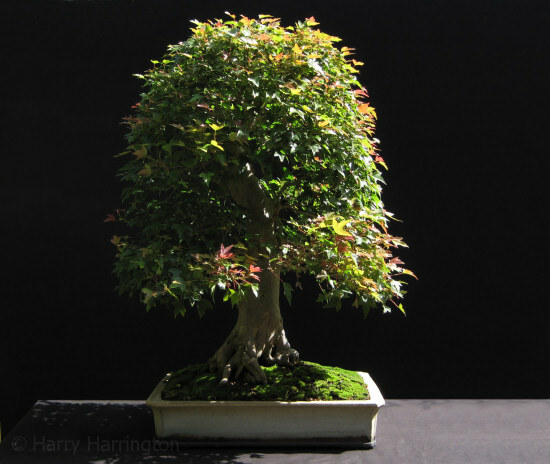 Bonsai must be pruned throughout the growing season to keep them in shape. Some species such as Acers have a number of growth spurts through the year, after each which they require pruning back; other species such as Junipers require almost continual maintenance pruning. 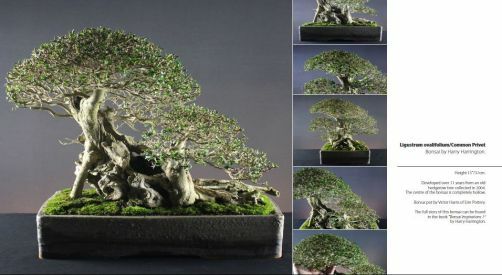 When growing bonsai, it is nearly always found that the top of the tree grows faster than the bottom due to apical dominance. One method of deciding how and when to carry out maintenance pruning is to allow new buds to extend a certain number of internodes (leaves), before pruning them back, according to their position on the tree. Strong, vigorous growth near the top of the tree, and the outer edges of the branches is only allowed to extend 3 to 4 internodes before being pruned back to the first internode. Growth within the middle area of the tree is allowed to extend slightly further before being pruned back to the second or third internode, allowing the shoot to retain more strength. Growth on the inner and lower branches is allowed to develop still further extension before pruning back to 3 or 4 internodes. The effect of pruning this way is to overcome the effects of apical growth, strengthening the inner and lower growth whilst holding back the upper and outer branches. This technique results in a more even spread of energy throughout the tree. One effect of pruning harder in the apical areas than the weak, lower areas of the tree is that the bonsai retains a triangular silhouette as can be seen in the diagram. As each new shoot is pruned, 2 or more new, smaller shoots emerge in its place. Repeating the process of maintenance pruning throughout the year produces increasing numbers of smaller shoots, which produce a dense 'pad' of foliage. A developing tree that requires increased trunk or branch thickness can be allowed to extend uninhibited for a period before being pruned back. This will allow the branch to thicken and to a limited extent, the trunk, from the point where the branch emanates, downwards. If left completely unpruned however, the tree will become coarse and lose its shape. Trimming deciduous trees with scissors is straightforward as long as time and care is taken. Scissors should be used to cut stems and not leaves; any kind of leaf that is cut will quickly brown off and look untidy. Each shoot that needs pruning back should be held by its top and cut through the stem immediately above an internode/leaf.